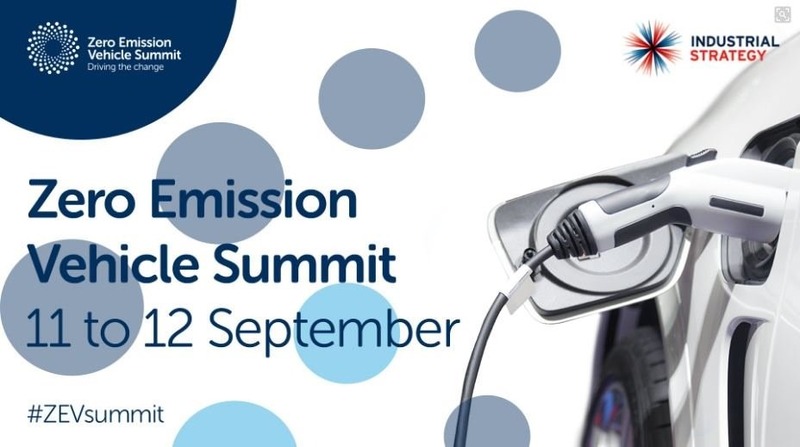 On 11-12 September Birmingham hosted the world’s first Zero Emission Vehicle (ZEV) Summit, bringing together ministers, officials and business leaders from over 40 countries to accelerate investment in both zero emission technology and infrastructure. The Prime Minister, Theresa May, told delegates that she wants to see Britain “leading from the front and working with industries and countries around the world to spearhead change”. And to help support that aim, the government has pledged £106 million for research and development in zero emission vehicles, new batteries and low carbon technology. The comments made by the Prime Minister and other speakers at the summit are welcomed by Tyseley Energy Park (TEP) who, for the past five years, have been developing a low and zero carbon refuelling station that will support the take-up of low and zero carbon fuelled vehicles in Birmingham. David Horsfall, Director of TEP explained, “This commitment from central Government has come at a critical time and sends a clear signal that air quality and the health and wellbeing of our citizens is of the upmost importance. At Tyseley Energy Park we have developed a low and zero carbon refuelling station that will be the first of its kind in the UK, providing a range of fuel options including hydrogen, commercial scale electric charging, Biomethane/Compressed Natural Gas (CNG) and biodiesel / gas-to-liquid (GTL). We are working with Birmingham City Council and businesses from across the region as they prepare their fleets for the introduction of Birmingham’s Clean Air Zone in 2020”. The refuelling station at TEP will become operational in the spring of 2019. Early signs indicate that this station is a model that is likely to be adopted for refuelling sites across the country as the UK strives to reduce greenhouse gas emissions and reduce its reliance on fossil fuels. Commenting from ITM Power, Dr Graham Cooley said, “The ITM Power hydrogen station which is currently being built at TEP is very exciting for us as it will be our ninth station to open in the UK and our first for the midlands, improving refuelling coverage for fuel cell electric vehicles. The station will also be ITM Power’s first bus refuelling station, capable of refuelling 20 busses per day. The station will use renewable energy and water to generate the hydrogen gas on-site, eliminating the need for fuel deliveries and improving the air quality”.